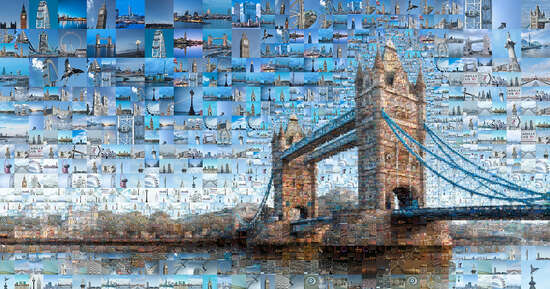 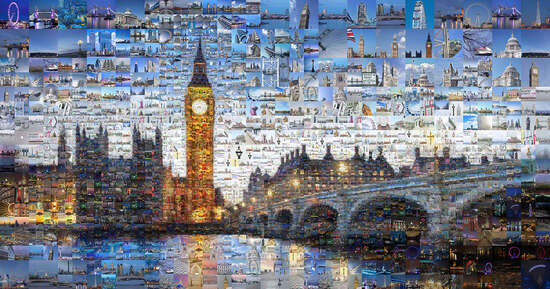 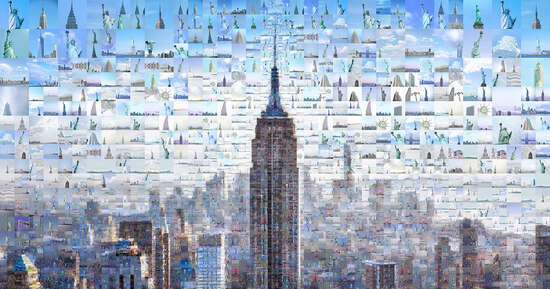 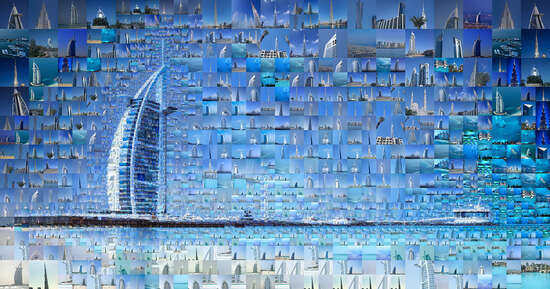 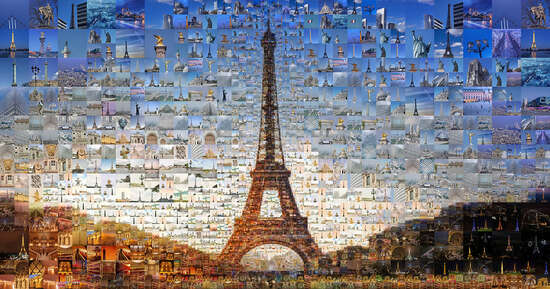 Charis Tsevis presents the world’s megacities – from New York to London to Moscow – in lively photographic mosaics. 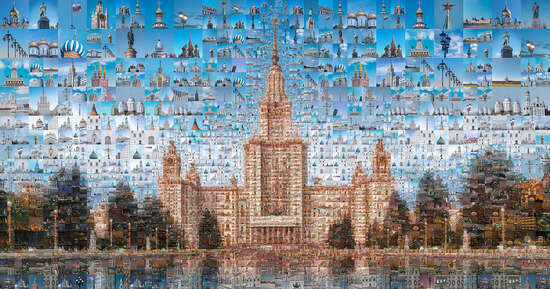 His pieces provide a refreshing new perspective on famous landmarks and classic cultural monuments whose ubiquity in the media has shaped society’s preconceptions of the cities themselves. The artist arranges the fragments of hundreds of individual moments into one complete picture, thus capturing the very essence of these iconic monuments. 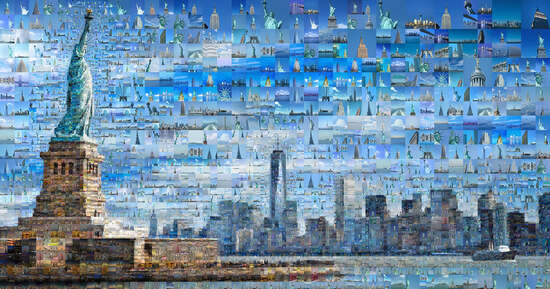 Tsevis presents different seasons and times of day in a singular distillation of time and space similar to a cinematic time lapse. 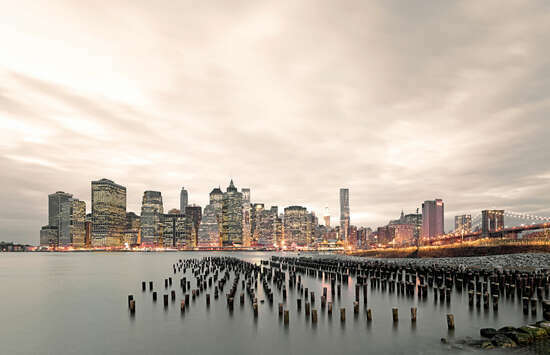 Contrasting moods culminate in an image charged with atmospheric intensity. 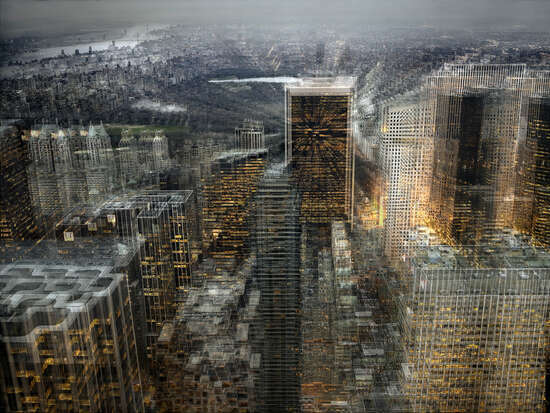 These detailed pictures grab the viewer’s attention, our eyes darting between the individual shots and the overall image. 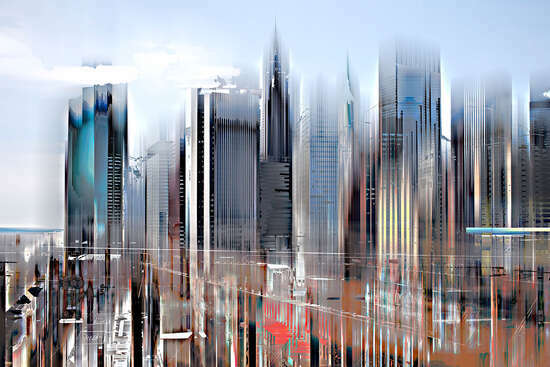 Everything is in a constant state of flux – much like life itself in these bustling cities. 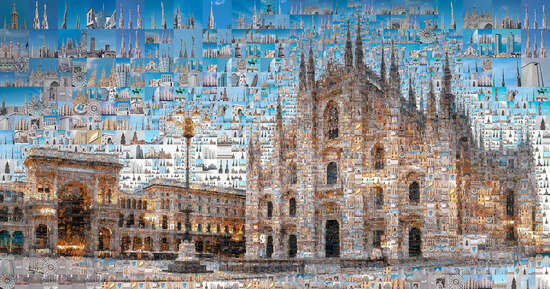 The Greek artist, who studied graphic design in Munich and Milan, has made the digital collage his unmistakeable signature aesthetic. 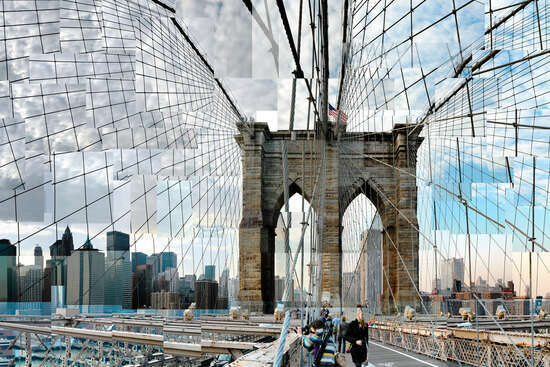 With his extraordinary, exciting artistic approach, Tsevis brings an unimagined dynamic into photography, surprising and challenging our traditional visual expectations.